If you haven’t got the time or the manpower for perfectly-manicured lawns and topiary-clipped hedges there is another option for your garden and it’s called low-mo: minimal mowing, plants that look after themselves and furniture that doesn’t need much upkeep. Yes, through better design and planning, the lazy gardener’s garden can look amazing without becoming a slave to it. While our emerald green, blight-free lawns may have once been our pride and joy, with busier lifestyles and a growing family or if you’re simply new to this whole gardening lark, then keeping your grass in tip-top condition might be a daunting task and one that requires hard graft and ongoing effort. Before you reach for the paving slabs or gravel (which in all honesty might be the best option in some cases) why not let the grass grow long in some areas and keep to small patches of shorter grass in the more formal, well-used zones of the garden. Other time-saving hacks include leaving the clippings to drop back onto the grass (which will then need less feeding), use a mower with a wider cut (or even an automatic Robot Mower that you can leave unattended) and getting rid of small, fiddly narrow areas to cut down on edging. 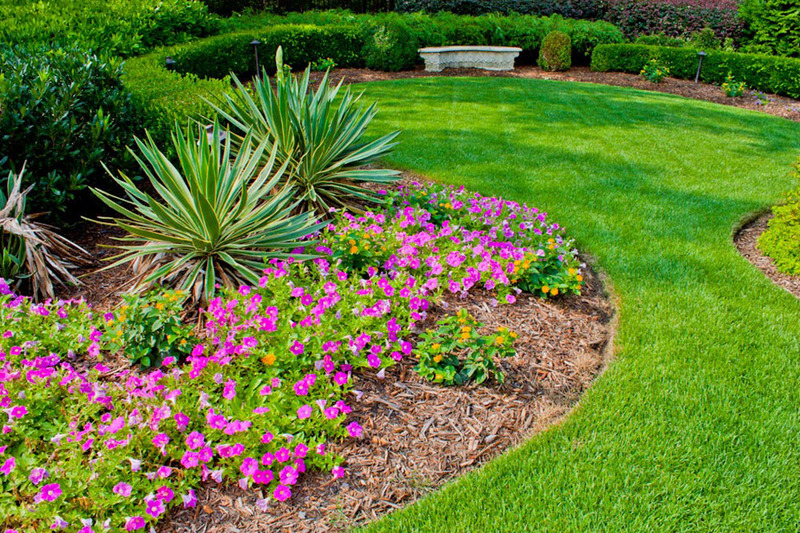 If you have the budget consider using a professional lawn maintenance service or even replace with a good looking artificial turf. Personally I adore the look of a wild, overgrown meadow so why not stop mowing and let all or part of your lawn go feral. Stopping feeding and weeding will also promote wild flowers, grasses and wildlife to thrive or you can even sprinkle on a ready-mixed meadow seed for beautiful unadulterated colour and a floral mash-up. There might not be such a thing as a ‘no maintenance’ plant but many hardy evergreens, once established, need little care (just occasional pruning to keep height and spread in check). And while seasonal bedding plants offer an instant blast of colour they do require effort and time. Swap out for hardy perennials which once planted, go on year after year. This doesn’t mean a bland, colour-free garden either as problem-free, hardy geraniums and Cirsium rivulare (with pretty thistle-type flower heads) look amazing all year round. 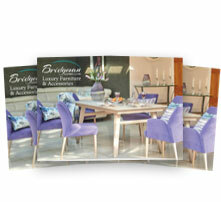 With gardens now an extension of our living spaces, outdoor furniture is a must. But for the low-mo garden that means choosing your materials wisely. Wooden furniture is strong and durable and relatively low-maintenance but will need treating annually to protect it against warping and water damage. Metal furniture is generally lighter than wood yet still tough but do pick rust-resistant designs; plastic is more affordable and weather-resistant but possibly not as high-design, and can warp if left out in the sun for too long. For our British climate, a synthetic rattan stands up brilliantly to the elements and is the perfect choice for outdoor use. 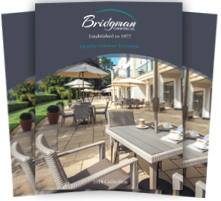 Our rattan-effect garden furniture is made from a luxury, weatherproof, synthetic rattan called Hularo, which is almost impossible to tell apart from the natural stuff. The furniture is virtually maintenance-free (resistant to UV rays, heat, cold, chlorine and salt) and amazingly comfortable at the same time. 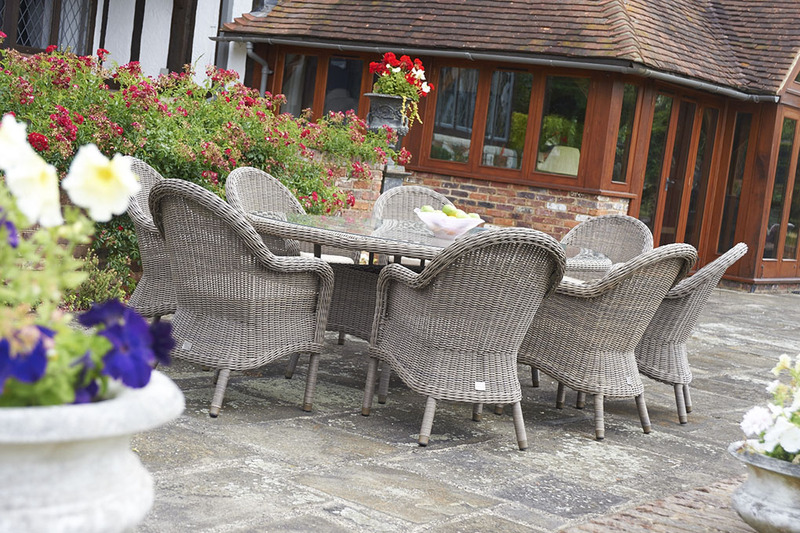 It’s perfect for gardens, patios and decks as well as indoors in conservatories. 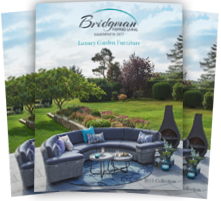 You want to make your outdoor space as comfortable as possible but you don’t want to be lugging cushions and blankets in and out at the first ray of sunshine. For added convenience, our waterproof cushions (standard on some ranges, optional on others) mean you never need worry again about hauling your cushions in, if the heavens open. We’ve taken years to develop this special acrylic fabric which is 100% waterproof with a special inner membrane that won’t let water in – it’s also Teflon-coated so stains are a thing of the past. Look out too for eco-friendly garden rugs made from recycled plastic which is waterproof, UV and mildew resistant, lightweight and easy to clean. The rugs are often reversible so you get two looks for the price of one and can offer a pop of juicy-fruit colour and bold design. Have you perfected the low-maintenance garden? We’d love to hear your tips and see your results?